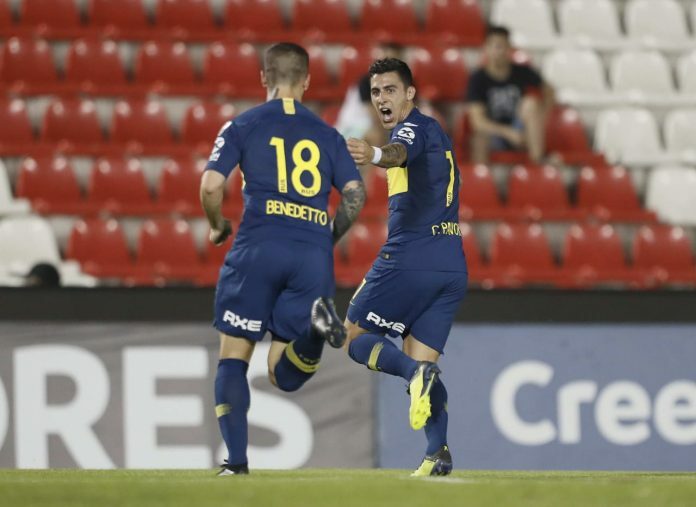 Cristian PAVON and Carlos TEVEZ both scored for Boca Juniors in their 4-2 win against Libertad in the Copa Libertadores. It was a fairly good week for Argentine clubs in South America’s premier club competition. Boca finished the round in style with their win and two Argentina internationals were on target. Having taken a 2-0 lead from the first leg, Boca let in the first goal of the match offan Oscar CARDOZO goal. Cristian PAVON equalized after work from Dario BENEDETTO (now back from injury which kept him out of Argentina’s World Cup squad). Argentina U20 World Cup winner in 2007 Mauro ZARATE made it 2-1 for Boca and all but put an end to the tie. Oscar CARDOZO made it 2-2 on the night off a penalty. Carlos TEVEZ came off the bench and restored Boca’s lead making it 3-2 before Edwin CARDONA’s panenka penalty finished it all off. There are four Argentine clubs left in the tournament along with three Brazilian clubs and one Chilean. What about Argentina u-20 vs Uruguay’s u-20 reault.. I had read an article about Gallardo that he focuses mainly on Copa Libe. Well seeing the results it rather looks like that isn’t it. 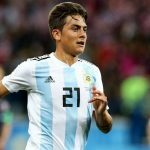 According to ole, real madrid is trying to get dybala. I hope this never happens. I prefer him going to bayern munich. I like pavon very much. I hope he develops properly. Agree. Germans both in live and football are more methodic and studied – if they buy a player they will give him playing time. They are not like few big spoiled and whimsical clubs of Europe and their planning is usually long term. They care more about young players. Ascacibar and Nico Gonzalez (he is already playing for them) are good examples. I bet if they went to other league they could wait long to get any minutes. By the way one week left to see again our beloved national team. maybe Guatemala team is weak but really i don t care because i miss to see our team playing. pass so long from last game with France and i really miss to see national team play. I like your coach… Gallardo one day he will be national team manager h…hhhh. Don t take it so serious my friend . i didn t attack to you and i didn t intend to attack to you. if you feel offended or somehow i look like i attack you then i am sorry. really sorry. i intend to speak for Boca. not about you. River 36 Championships and Boca 33. Thanks Gonzalo, that was quite a goal. 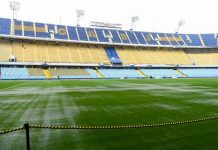 Seriously most pleasant is to be beyond that rivalization between Boca and River (I hate Ole for being so much Boca prone) and get full pleasure of any good thing that happens to Argentina clubs, NT and players all over the world, which is personally my personal approach. I have not any fav player or club (maybe like a just bit more Independiente than others of Argentina). What I like most about the league is that there’s usually about 10 competitive teams. At least 10 teams have international trophies or multiple league champions titles. i respect your personal approach and phylosophy about football my friend. just i am completely different. as the most of fans in my opinion. about players i agree with you. i never had idol one player. Maybe with one exception Diego Maradona. But Diego is other story. He was beyond teams. players come and go. the club and the fans remain. Just about clubs i am different. everybody is one club because of the culture and history that club presents. from child i am River plate fan and i love my club beyond football. River is not only football . River is many other things too for millions of people. Argentina national team unite us all and we love more than anything first. But i never can be happy with one win of Boca. or any other Buenos aires team. maybe we are different in phylosophy but you have my respect honestly about yours. de la mano del Muñeco vamo’ a Japón !!! To me it’s totally non sense for psg to sell Lo Celso when we know that Rabiot did not renew the contract and will probably leave the club during winter(otherwise free if next summer) and Verratti only plays half of season for many years due to his repetitive injuries. Nkunku is a young talented box to box but they still need Lo Celso’s creativity. No offence to psg fans here but I don’t see how this team can qualify in the 1st round of champions league without a creative and consistent midfielder. Really I can’t understand how a coach cannot appreciate Lo Celso’s quality. Psg will continue to win in ligue 1 but forget about CL. Anyway if he signs at Betis, that also show that he is an ambitious player who is ready to give up high salary for more playing time. It’s a very positive altitude. 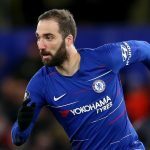 Today, too many young players prefer sitting on the bench of those big clubs just for enjoying cash flow, and finally have their career fucked up. Tuchel behaved unprofessionally when it came to Celso, he knew from the get go that Celso wasn’t in his plans (even though he was a starter last year and proved himself through hard work) yet he didn’t reveal his intentions until after the closing dates for the transfer window for both England and Italy thus limiting celso’s options. Honestly I hope Tuchel and PSG live to regret their decision. With all that being said I’m glad Celso is out of league 1 and is now in a strong league like liga where he will be tested almost every match with a weaker team like Betis. Yeah I am sure if Emery learnt that earlier he would have hired Lo Celso. Colo Colo, Palmeiras, Cruzeiro, Tucuman, Gremio, Independiente – none of the teams progressed to quartefinal being winner of both 1/8 games. 5 of the teams lost away and progressed only by one goal more accumulated or only thanks to one away goal. Independiente 0:0 in both games. Rivalry in South American club football is even more fierce than in SA qualifiers. 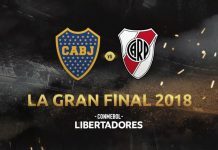 So out of 8 quartefinal teams of Copa Libertadores 4 are Argentine. It’s good. Plus Colo Colo have a half of starting eleven of Argentino and Cruzeiro with Barcos, Romero, Mancuello and Cabral. Boca look like a proper team they play very attractive football . Yes till they face River !!! that they are chickens !!! Definitely impressive Boca Junior on the paper. I like this 4312 and it should be how the national team plays, with 3 midfielders, so 1 pure DM, 1 box to box and 1 more creative. In attack 1 winger, 1 9-half and 1 fwd. The perfect balance. all this till their bad destiny bring in front of their road the great RIVER . And the Boca start team finally with only one foreigner. Cmon dont overrate your favourite players again, Boca after Benedetto’s injury destroyed Superliga…Abila neirly do the same contribution. Destroyed SUperliga?!!! Go check their games with Benedetto and without him. Ath the end of the season Godoy Cruz almost caught up them. Everyone who is watching their games live may admit Pavon is not the same player without Benedetto. But did you’ve ever seen any full game of Boca with these players. I doubt. South American football expert with your judges (before lost to Barcelona, Estudiantes and Huracan draw) Boca no doubt best team in South America. No way best WITHOUT BENEDETTO. With Benedetto may win CL. He is not my fav player but heart of this team. Jesus Crist, every Boca fan miss so much Benedetto, as if he was saviour. Not because he is saviour but because they know Pavon and all the team is not the same without him. Please, man, don;t embarass yourself more. Another stupid conclusions (“contribution” upon whoscored stats I suppose) without real understanding. You know nothing about and completely don’t understand South American football beceuse you never watched that. When someone is complaining about Argentina clubs playing so defensively away games (with first home win) he apparantly know nothing about rules of that football. It’s stratego that usually brings good effects in CL. It’s normall. At every turn you expose your dilettante on this matter. Especially when it’s clear all your statements about the CL matches are only conclusions drawn from stats (no watching full games) Go back to your European Top 5. Boca had enough time to adapt to play without Benedetto and they looked worse all the time. Barcelona without Messi after weak beginnings finally started to win. Actuall it was in the Spanish league where Barcelona proved to be able winning game by game also without Messi (beat Real 4:0 away as well). Just facts. And? Barca without Messi is not the same team, would have been lost much more points, Benitez Real was definitely one of the worst Real in the history, some matches later he was sacked, says all. Weak team, poves nothing. And Boca won 2000 Copa Libertadores without Benedetto, as well as 1979. Also without him. Reductio ad absurdum. Nonsense because we are talking about CURRENT team of Boca. I’m not going to say Barcelona were always equally good with or without Messi. ABsurd. But it that season they were apparently able to adapt perfectly. Boca and Benedetoo is not anology. There’s no 2 same teams to compare here their dependence upon one player. 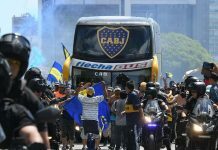 Benedetto is not saviour of Boca but with him all the team is much better. Gago is injured again and again in long periods. It’s hard to say he is the key especially it’s evident the understanding of Pavon and Benedetto is most creative. Boca is better with Gago bu I don’t think he is must. He has to go because what?! Because he will not find recognision in the eyes of expert like Babblala?! Because he never will be NT-player again from this league, and nobody will remember his name out of Argentina, and will not improve in SA inside his comfort zone against average defenders. If he will win CL with Boca he will be rememberd forever.